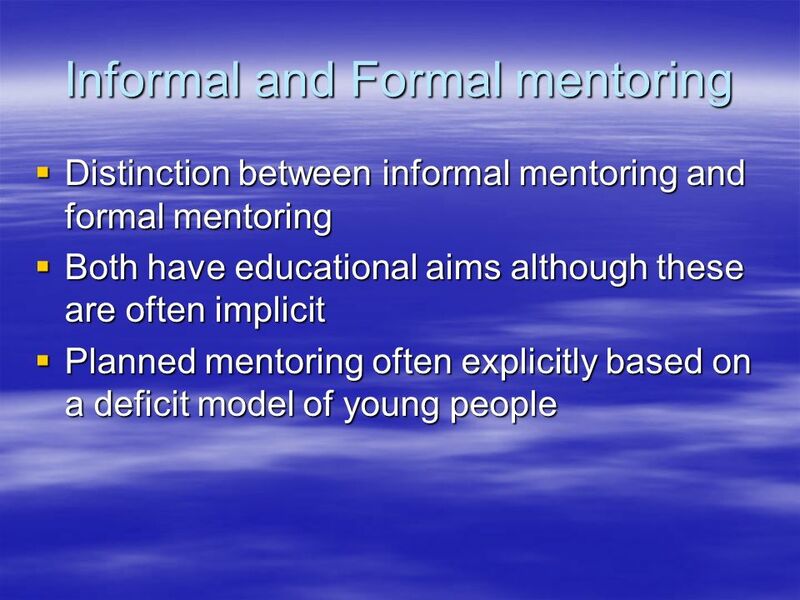 The chess coach: what can we learn from mentoring as an educational process? Kate Philip, The Rowan Group CISCCON International Conference University of. 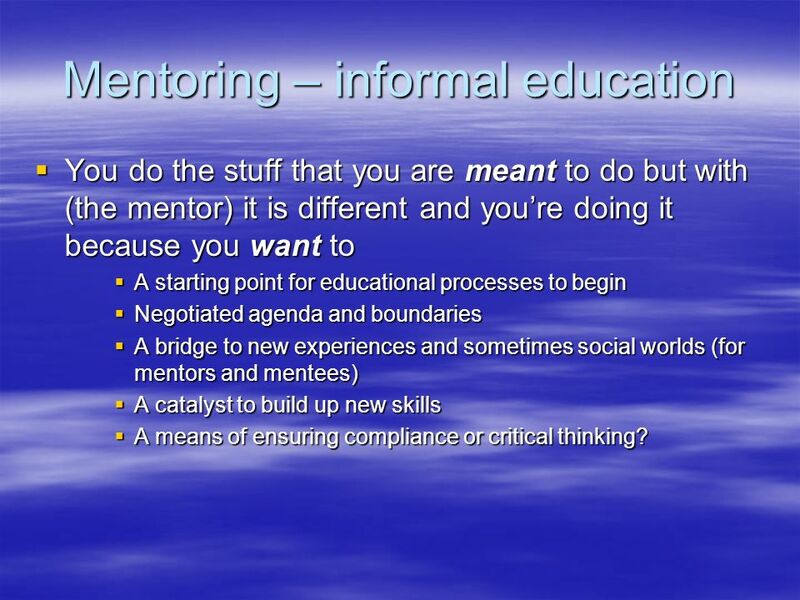 8 Mentoring – informal education You do the stuff that you are meant to do but with (the mentor) it is different and youre doing it because you want to You do the stuff that you are meant to do but with (the mentor) it is different and youre doing it because you want to A starting point for educational processes to begin A starting point for educational processes to begin Negotiated agenda and boundaries Negotiated agenda and boundaries A bridge to new experiences and sometimes social worlds (for mentors and mentees) A bridge to new experiences and sometimes social worlds (for mentors and mentees) A catalyst to build up new skills A catalyst to build up new skills A means of ensuring compliance or critical thinking? 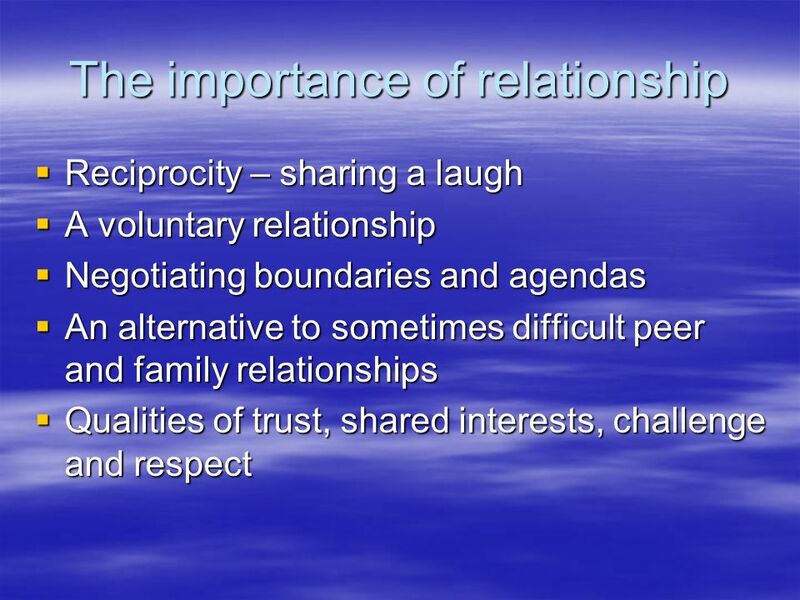 A means of ensuring compliance or critical thinking? 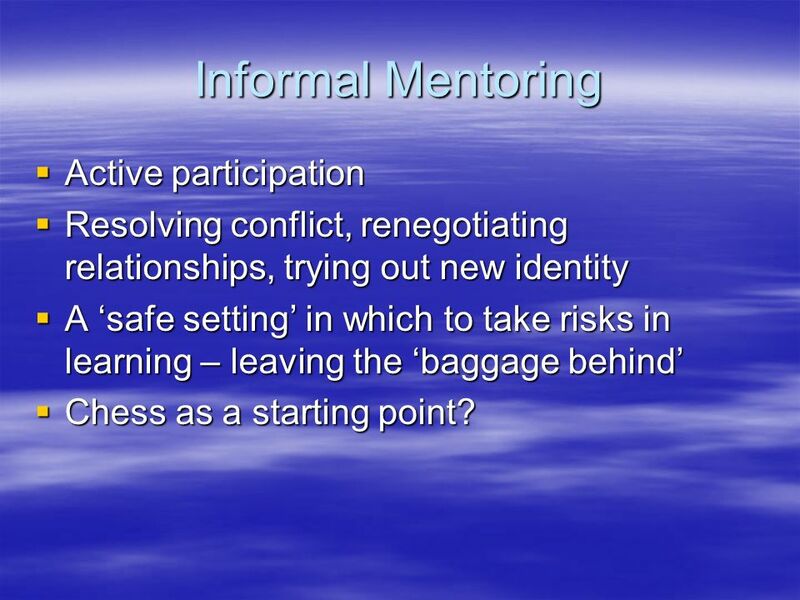 10 Informal Mentoring Active participation Active participation Resolving conflict, renegotiating relationships, trying out new identity Resolving conflict, renegotiating relationships, trying out new identity A safe setting in which to take risks in learning – leaving the baggage behind A safe setting in which to take risks in learning – leaving the baggage behind Chess as a starting point? Chess as a starting point? 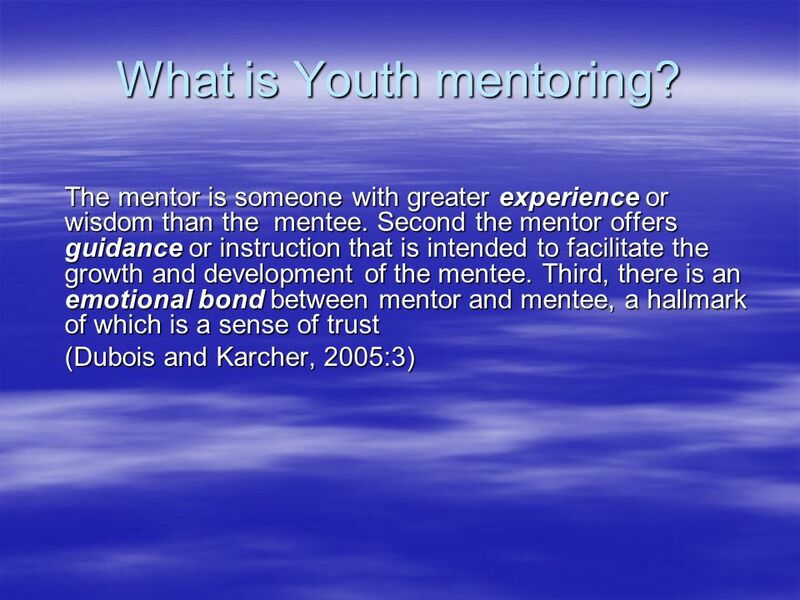 18 Mentoring and chess Does chess playing offer a means of engaging with young people who may wish a mentor? 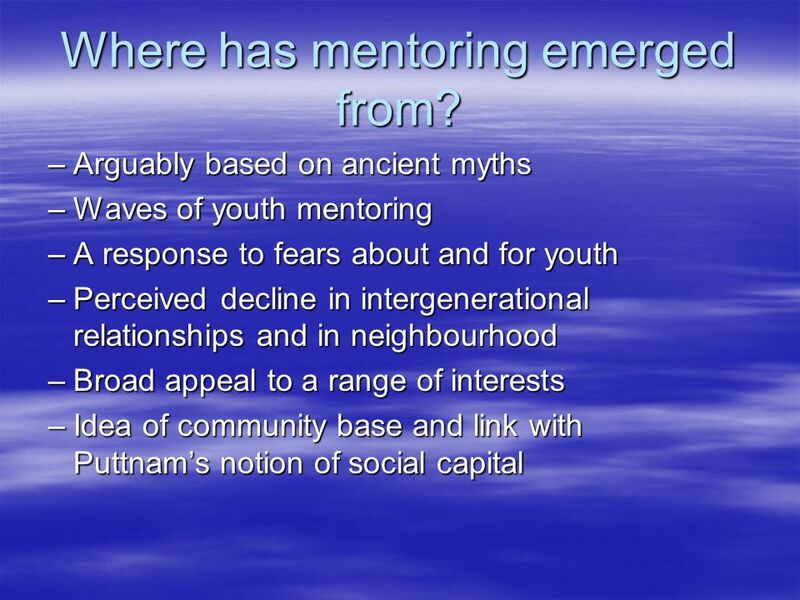 Does chess playing offer a means of engaging with young people who may wish a mentor? 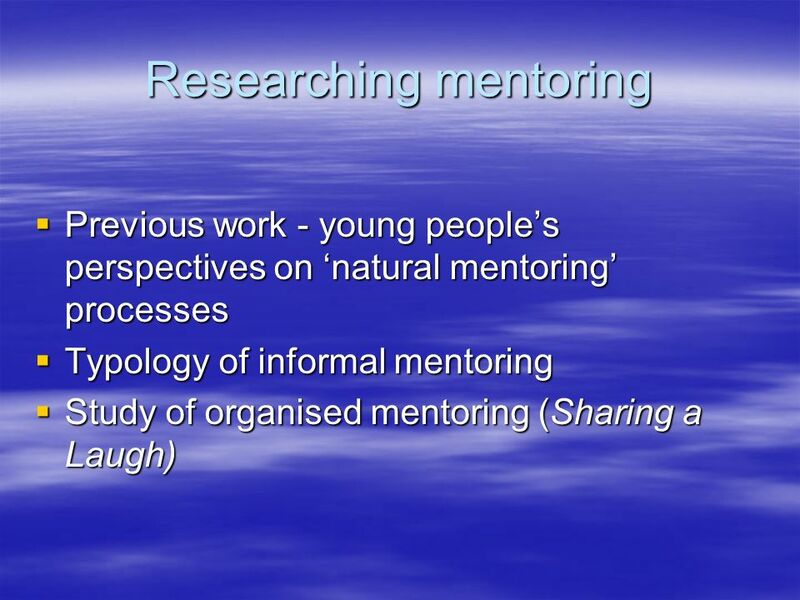 To what extent should peer mentoring be developed within chess playing groups? 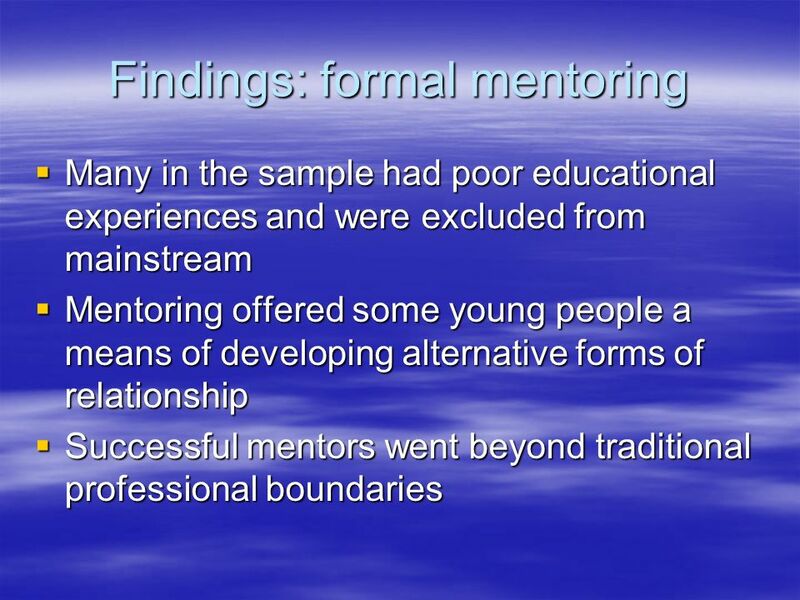 To what extent should peer mentoring be developed within chess playing groups? 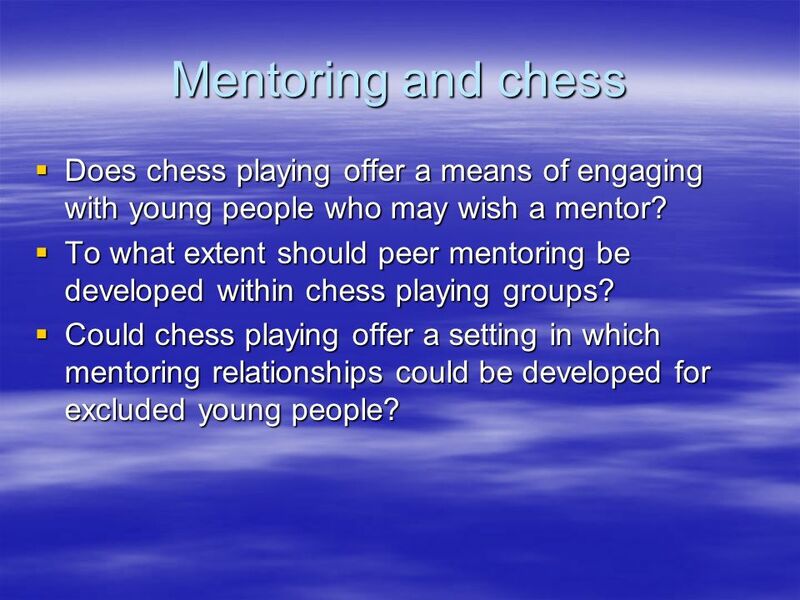 Could chess playing offer a setting in which mentoring relationships could be developed for excluded young people? 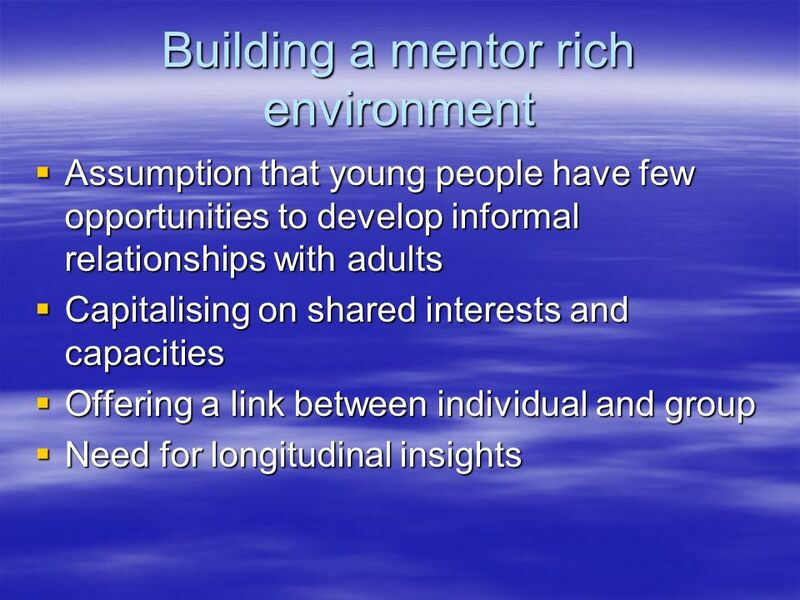 Could chess playing offer a setting in which mentoring relationships could be developed for excluded young people? 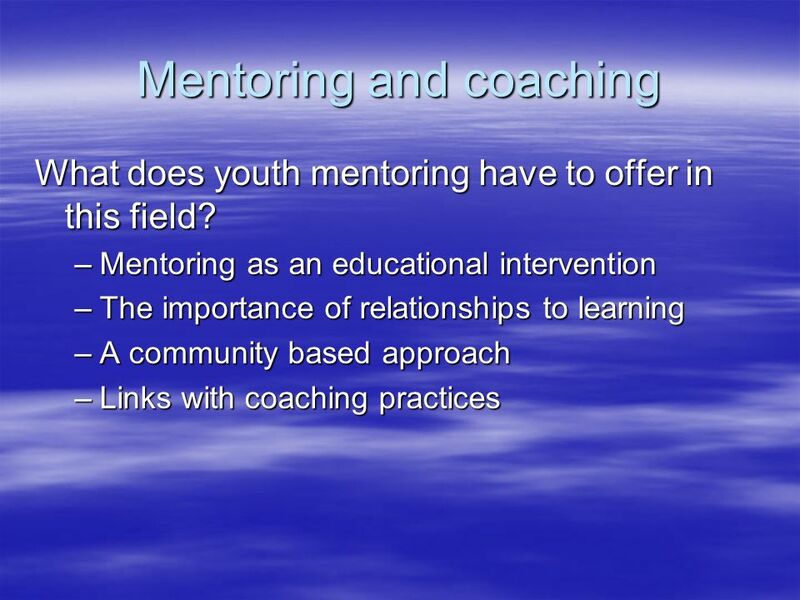 Download ppt "The chess coach: what can we learn from mentoring as an educational process? 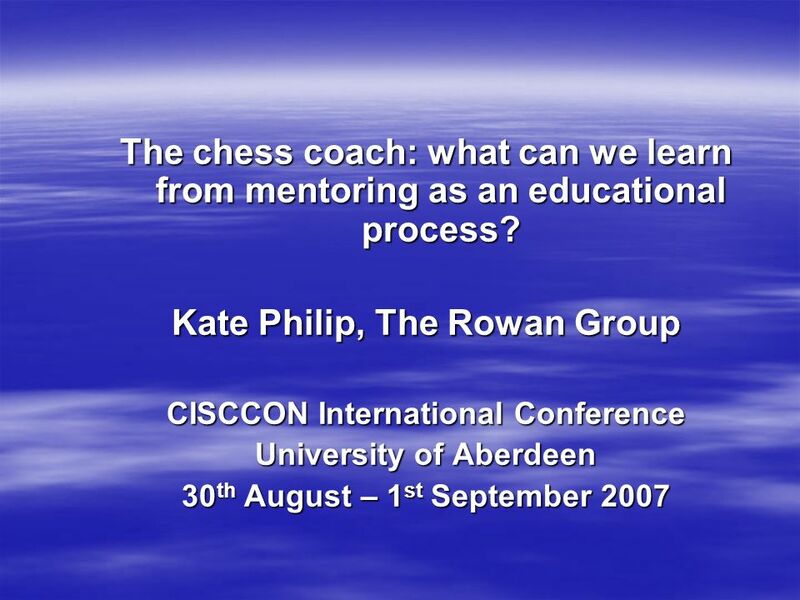 Kate Philip, The Rowan Group CISCCON International Conference University of." 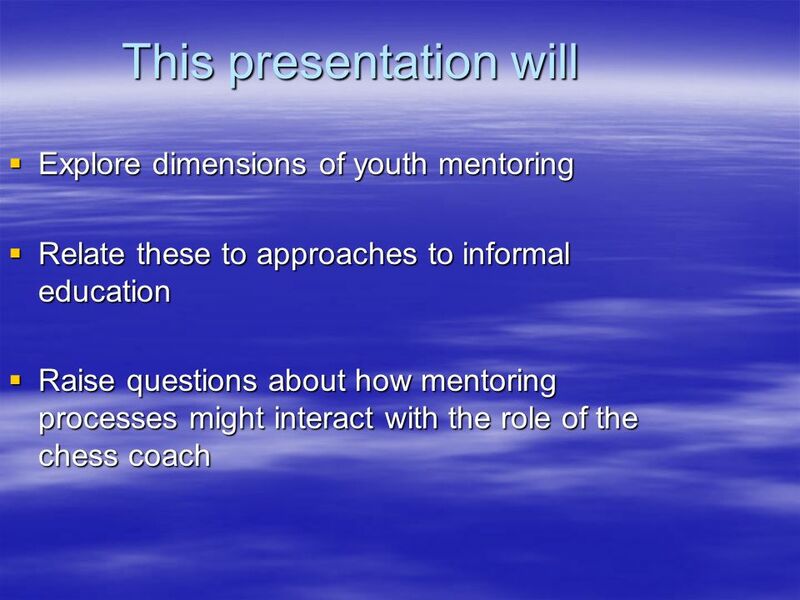 111 Trainer: Date: Supporting Children and Youth: Mentor Training for Senior Corps Volunteers Becoming an Effective Mentor. DECS CONTINUITY OF LEARNING AND TRANSITION PROJECT Sue Emmett Curriculum Manager First Years of School. Ken Harland and Sam McCready Centre for Young Men’s Studies Cookstown 2014. 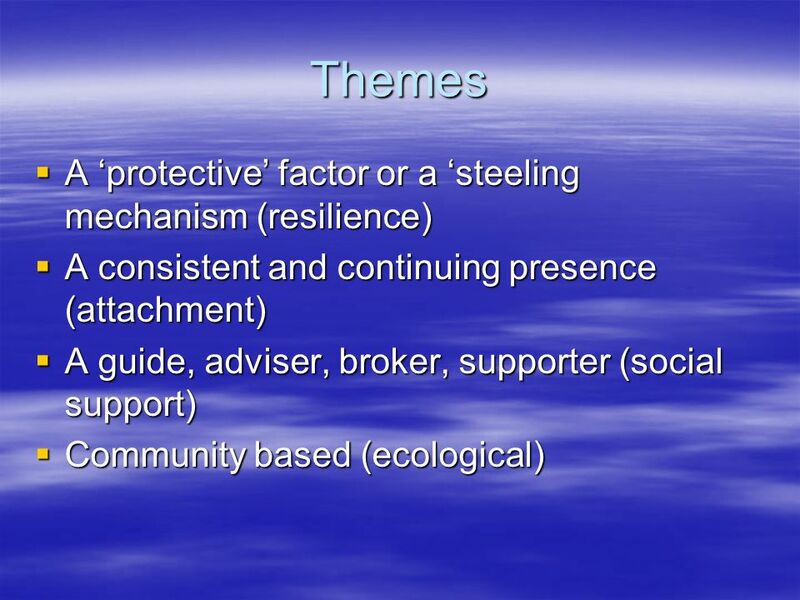 BREAKING THE LINK BETWEEN LOCAL AUTHORITY CARE AND HOMELESSNESS Jamie Harding, Northumbria University. St Vincent de Paul Society Assisting Refugee Kids An ecological approach to refugee children’s settlement ACWA Conference 18th August 2008 Jarrah Hoffmann-Ekstein. 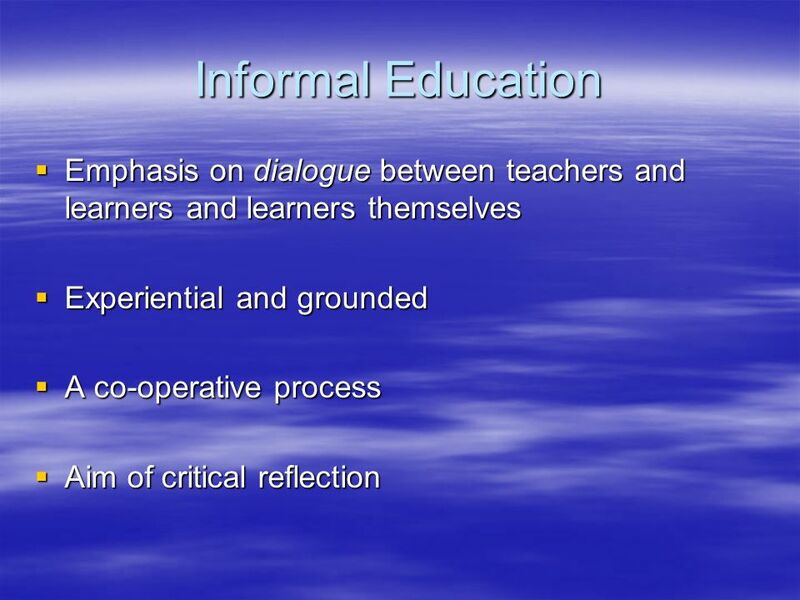 Does Web2 fundamentally alter the learner-teacher relationship? Vic Lally and Richard Noss. 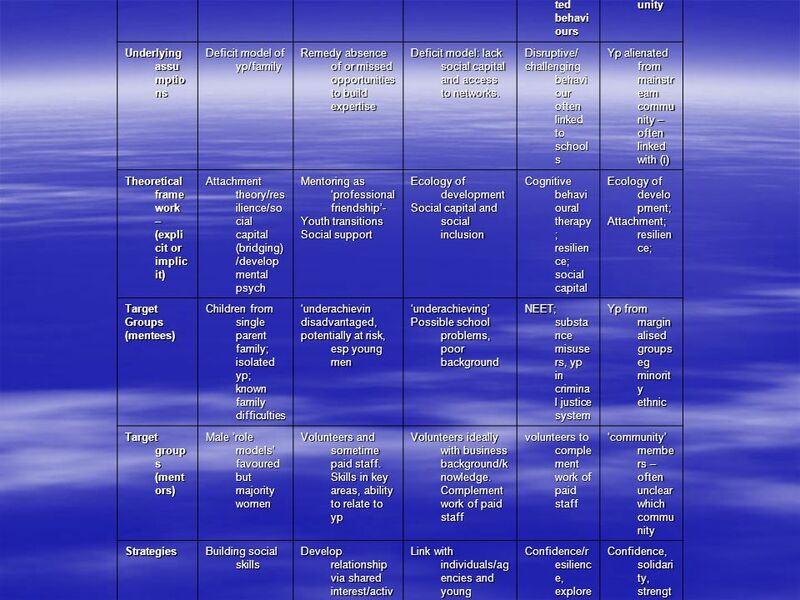 Reflective Practice Leadership Development Tool. 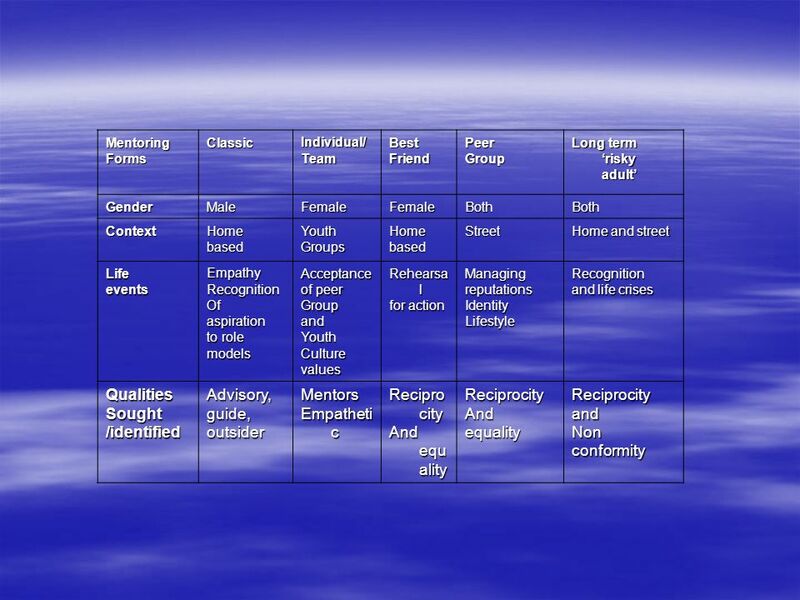 Context recognised that a key differentiator between places where people wanted to work and places where. MOST PROJECT Presentation on Final Phase Findings. WELCOME to Edge Hill University Mentor Training (Professional Development Area) WELCOME to Edge Hill University Mentor Training (Professional Development. Using games and simulations for supporting learning Presenter: Hsiao-lan Lee Professor: Ming-Puu Chen Date: 03 / 09 / 2009 de Freitas, S. I. (2006). Using.